We written only the last Awards. "Garnet color. Aromas and flavors of chocolate espresso beans, dried dark berries and apricots, and banana crem brulee with a satiny, bright, dry-yet-fruity medium body and a sleek, engaging, medim-lenght cherry-tangerine relish and praline finish with well-integrated, crunchy, fine, dusty tannins and light oak. For lovers of the Old World style, this Cotes du Rhone provides a hint of Mediterranean garrigues alogside its rafined and restrained fuit profile, with a dusty, drying finish." "The vintage 2016 had already strongly impressed, the 2017 gives the same impression. During a warm and dry vintage, you shouldn't have searched for the extraction, the winemaker Romain Dubois understood it well and has created an exceptional cuvee: on the nose, devilishly gourmet aromas of caramel, blackberry, liquorice and sweet spices, in the mouth, it's smooth, tender, velvety and fresh at the same time, with the support of well present tannins but with a great finesse of grain. Irresistible"
"With a nose marked by black fruits, spices and woody notes, responds to a fresh, elegant mouth, with coated tannins, which displays very pleasant flavours of candied fruits and spices." "The Dubois family is once again reaping a beautiful shower of stars this year and no less than two favourites. The first goes to this pure grenache from hundred-year-old hand-harvested vines, which has an intense nose of red fruits, underwood and vanilla. But it is above all the palate that strongly impressed the jury: a complex, velvety, powerful and gourmet palate, with intense spicy red fruit flavours, stretched out in a long chocolate finish and supported by velvety tannins of remarkable harmony. A upper-case Lirac." "This admirable cuvee reveals an intense nose of black fruits and vanilla. The palate displays a silky and mellow texture, an exceptional aromatic persistence around spices and blackberry, and very "high faschion" tannins. Already delicious, and for a long time. " 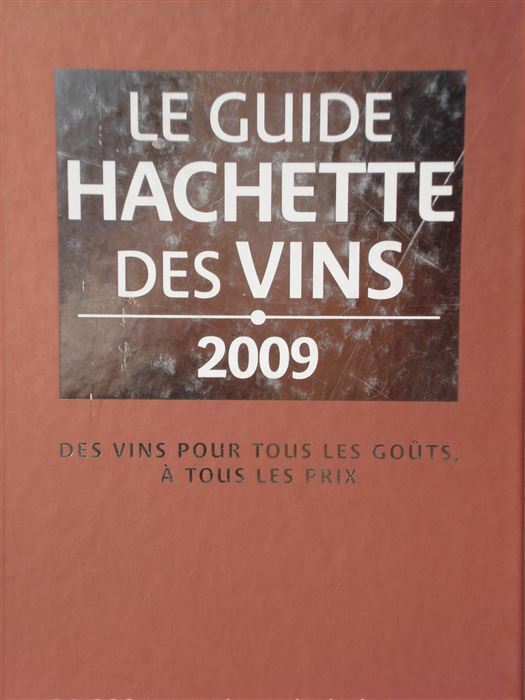 This year we have been nominated WINEMAKER OF THE YEAR 2018 FOR RHONE VALLEY by Guide Hachette des Vins 2018. "Well-named, this cuvee is the result of a classic blend of Grenache and Syrah. A wine which confirms, if needed, the consistent progression of this domaine, which over the course of twenty years has become one of the most dependable of the appellation. The glass gives rich notes of chocolate, red fruit and menthol evolving with aeration to violet and aniseed. This complexity is reflected in a supple flavour on the palate, long and full of finesse, with lots of freshness and life but without losing structure. A great music lover would recommend tasting this wine to the strains of Madame Butterfly….."
"Located beneath the sanctuary of Notre-Dame-de Grâce at Rocheford du Gard, near marshes drained for cultivation by monks in the Middle Ages, this domaine, created in 1994 from the combination of three small plots, displays consistent quality. It is managed with flair by Jean- Pierre Dubois, his wife Dominique and their son Romain. After 12 months maturing in oak this magnificent cuvee, 50% Grenache 50% Syrah, develops a dark garnet colour suffused with black reflections. After aeration the wine opens into a bouquet of small black fruits underscored with a touch of vanilla. Direct, generous and long, the taste unfolds on supple tannins, offering rich flavours of red fruit and spices. An impressive wine and a superb ambassador for the appellation Lirac."